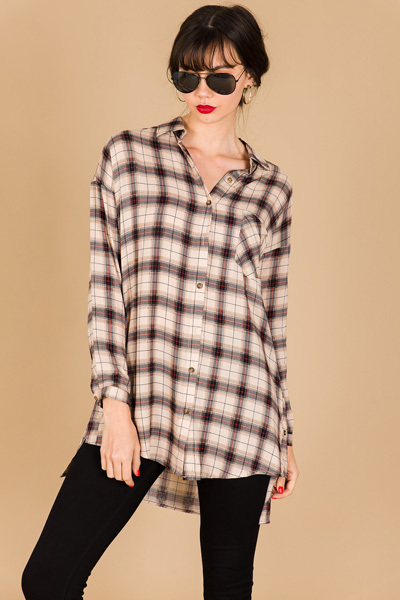 A cute plaid tunic paired over leggings or jeans with your favorite boots is the easiest way to nail fall fashion! This one features the perfect length, the best neutral color palette, and a lightweight, 100% rayon material. 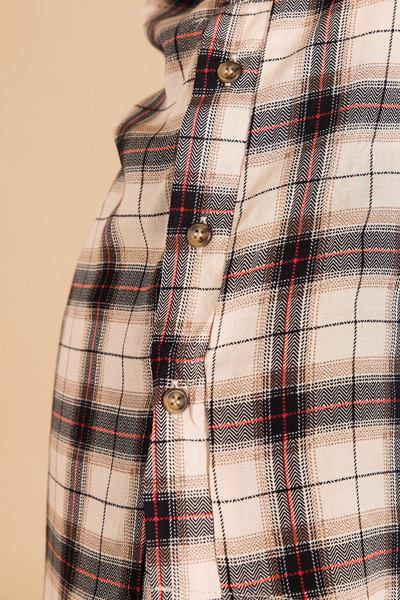 Buttoned sides let you customize how far the side slit is, and this top is also a great option for layering. Fit is generous. Model is wearing size small.